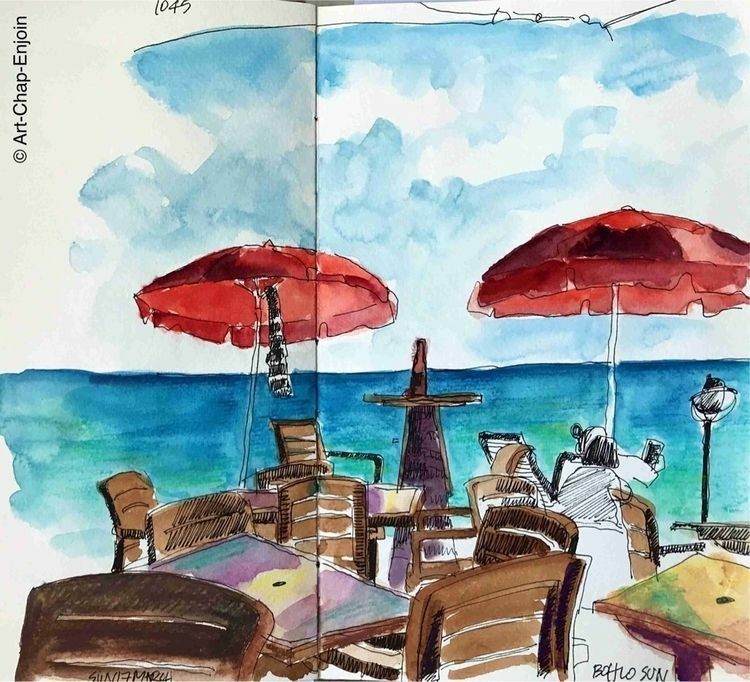 Arriving in Grand Turk last Sunday, after checking in, my first port of call was Bohio Dive Resort - the nearest place down the beach to get something to eat. Problem was, I was too early to eat so I had no choice (shame) but to drink beer and sketch while I waited for their kitchen to open. Even after that it took 1 hour for my pizza order so I was starving by the time I ate.